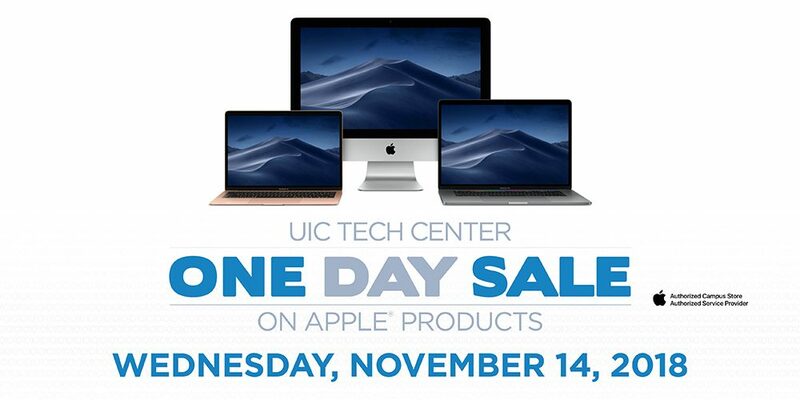 Come to UIC Tech Center’s One Day Sale on Apple products this Wednesday, November 14, 2018. Pre-orders begin Wednesday, November 7, 2018. A UIC email address and UIN is required. Save up to $600 on current Mac and iPad Pro models. Save up to $800 on clearance Mac and iPad models. Click here for a price list.